I was very fortunate as a child to have access to formal musical training as a violinist. The program I studied in was called the University of Texas String Project in Austin, Texas (I'm happy to say this program is still going strong forty-four years later!). Along with violin lessons, I also had classes in music literature and music theory. The part of music theory class I enjoyed the most was chord analysis...there are many ways to play or "voice," for example, a C major chord. Expanding on that, there are multiple groupings of notes that can be hard to determine just what they "add up to." 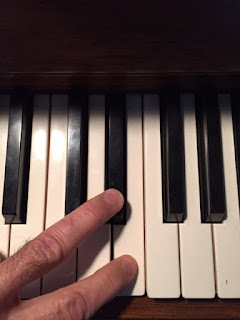 I wish I was more proficient at diagnosing chords, so I supplement my lack of knowledge by asking Dr. Reynold Simpson, associate professor of music theory at the University of Missouri at Kansas City, for help. Here is what Dr. Simpson says about this chord: "You might think of this as a poly-chord, almost like Strauss' Elecktra Chord, except this combines an F-sharp dominant with an E-flat minor. The B-flat and G-flat of the E-flat minor chord are the same as the F-sharp and A-sharp in the F-sharp dominant, but the E-flat has a strong clash with the E-natural of the F-sharp dominant. The contrast of the chord is almost as odd as its placement in the harmonic progression as it inserts itself between the A-flat dominant and the D-flat tonic. Interesting sound." If you have a piano, play an E and an E-flat at the same time. This will give you a simple idea of how this chord sounds. American conductor Kenneth Woods wrote a great essay called "Janacek's blood-stained hands" published on August 10, 2010. http://kennethwoods.net/blog1/2010/08/20/janaceks-blood-stained-flowers/. Mr. Woods had just conducted a workshop in North Wales about Taras Bulba. His insights are fascinating. 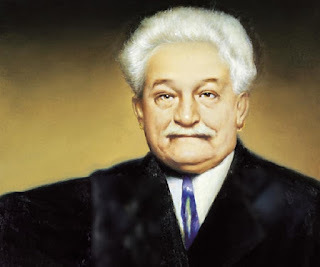 To quote Mr. Woods, "In Janacek, again and again we find chords and melodies that in other hands would simply be memorable-in his they become iconic and awe-inspiring." "For me, the chord is a being full of life; a flower of blood in musical art." Here is Taras Bulba performed by the Czech Philharmonic Orchestra conducted by Karl Ancerl (1961). In my opinion, this is the finest recording of this work, ever.